← What is the colour of the wind? Anyone who has seen one of their shows is bound to highlight the theatrical style in which they dress. No penny is spared in creating a visual experience never to forget! This is art in fashion at it’s very best! Notice the amazing make-up? 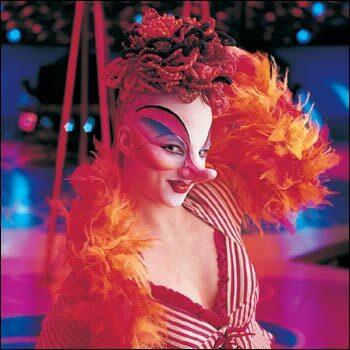 Every show produced by Cirque Du Soleil is created around a specific theme. The latest theme for their 25th Birthday celebration act in 2009 was “The dream continues”. The first show of theirs I ever saw was broadcast on television and it was called Alegria (meaning happiness or joy). Alegria was created for Cirque du Soleil’s tenth anniversary and marked their transition from the traditionally bright circus into something excitingly unconventional. It’s definitely still my favourite for the amazing fashion and overall spirit. Here’s a short extract of the show. Cirque du Soleil is more than just a circus act, it’s a Quebec based company with more than 4000 employees worldwide who represent 40 nationalities and speak 25 different languages. They’ve come a long way from a group of 20 street performers in the early 1980’s. Cirque du Soleil are planning on publishing a book about the contribution and passion of the talented costume designers and craftspeople that became part of their family through the years. The book will feature costumes of it’s shows. I am definitely in the que to get me one of them babies! Wonderfully artistic and well worthy of praise! I love Cirque du Soleil, what do you think of them? This entry was posted in Art and tagged Art, Cirque du Soleil, design, entertainment, fashion, imagination, theatre. Bookmark the permalink. Wow, thank you for sharing your information on Cirque du Soleil. I am not a big circus fanatic, but this definitely looks and sounds like it is worth watching (or reading when the book comes out). It is amazing on how disadvantaged people make the most out of what they do have in order to create a better life for themselves. 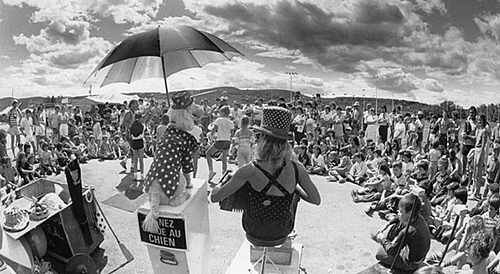 from 20 street performers to 4000 employees participating in an internationally recognized act! Impressive! I love the circus and Cirque de Soleil is so amazing!!! Can you just imagine how fit they are!